On the night of his death, Morrison had been coughing badly after a night out drinking. He had gone to take a bath after accidentally snorting heroin that he thought was cocaine and vomited blood. Courson said that he appeared to recover and that she then went to sleep. When she awoke sometime later Morrison was unresponsive. This is a photo of the bathtub Morrison died in. 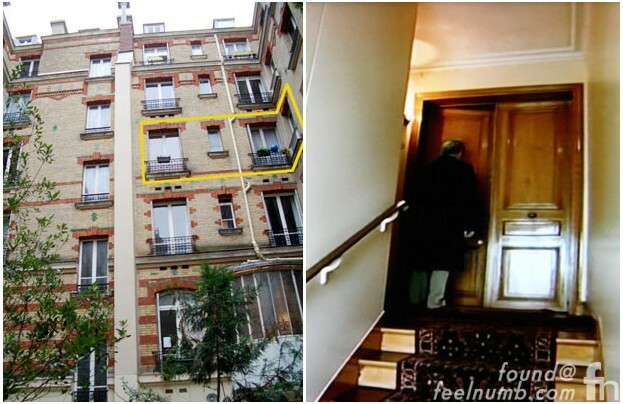 Here is the outline of the actual apartment Morrison died in and the front door to the flat. 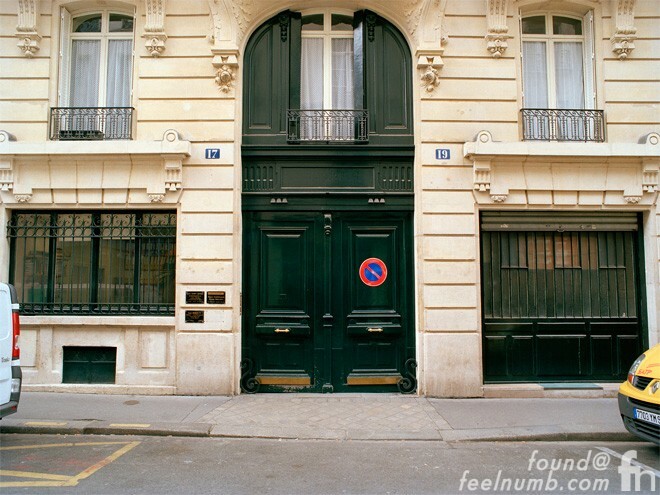 This is one of the last known photographs of Jim Morrison alive. 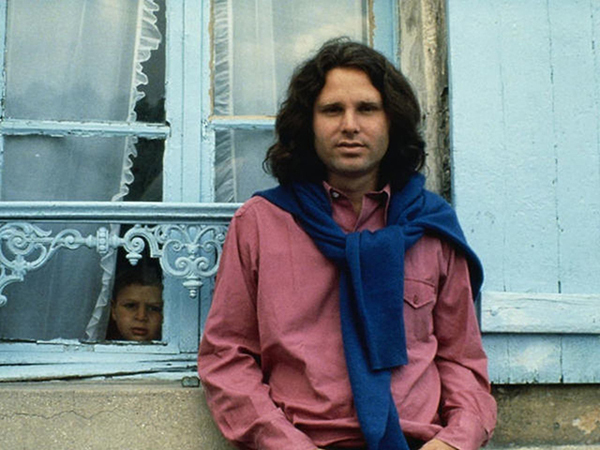 The photograph of Morrison and girlfriend Pamela Courson was taken on June 28th, 6 days before his death by friend Alain Ronay in the town of Saint-Leu-d’Esserent, about 34 miles north of Paris. Click photo or link below to see rest of the photos.